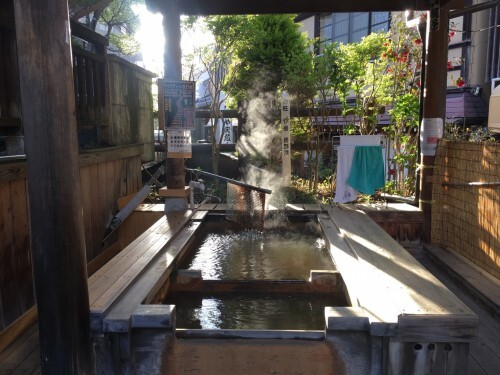 Shibu Onsen is famous for its variety of hot springs and its lovely streets. 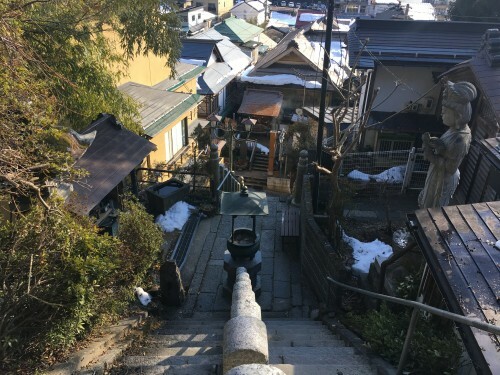 If you’re in the Snow Monkey area for a visit to the Jigokudani Monkeys, don’t miss out on a stroll through the picturesque village of Shibu Onsen. 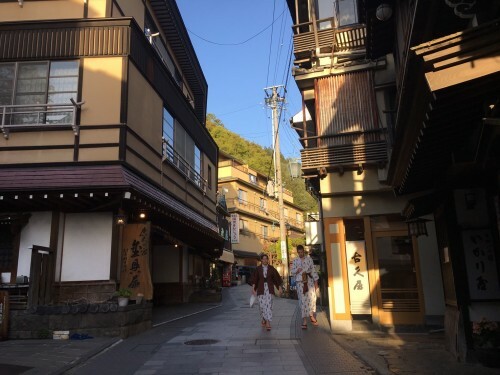 If you’re staying the night in the onsen village you can visit all 9 hot springs for free and you can do it while dressed in yukata, traditional Japanese dress. 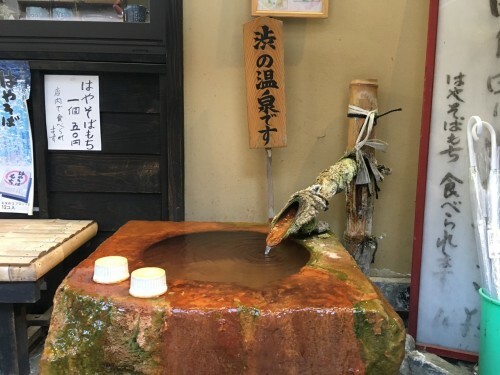 If you complete your round of all 9 onsen, you get a long life and are granted fortune by the gods, as the story goes. 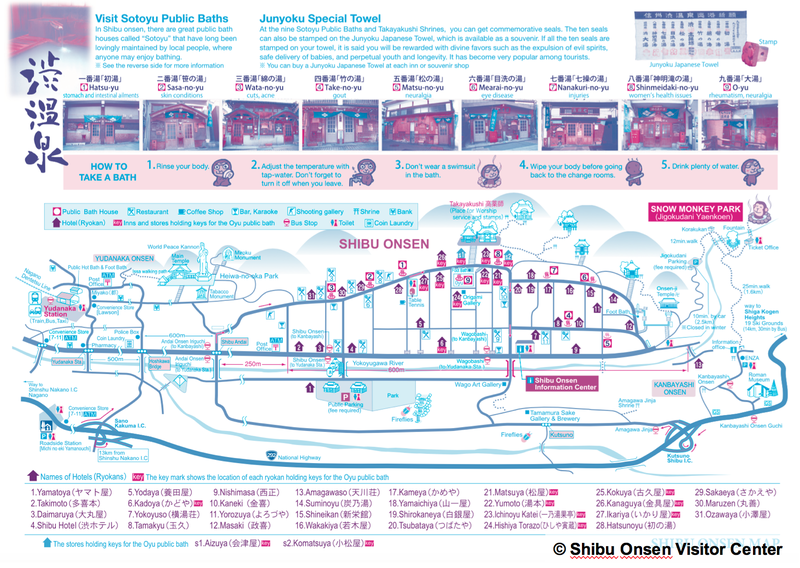 There are a few things to try out when waking on the main street of Shibu. One of these things is drinking from a source of hot spring water that’s potable. Take one of the cups on the stone and fill it with some of the irony flavored water in the stone. Please wash the cup after usage. Walk a little bit further along the main street, and you will find eggs in a basket. 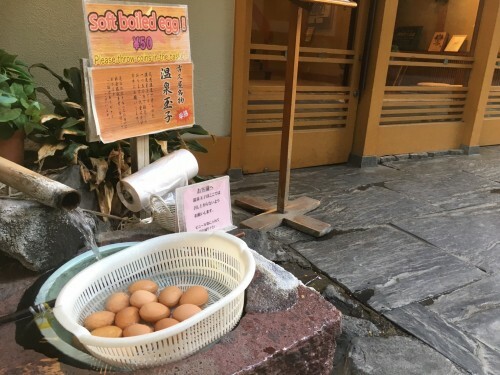 These eggs are boiled in the water of the hot springs and have an interesting flavor to them. Be careful though; the eggs are quite runny. If your feet are tired after all the walking, rest them in one of the free foot baths found in town. After having relaxed your feet, dry them with the towels offered at the foot bath. A delicacy of Shibu Onsen is a sweet called ‘onsen manju’. These are little buns filled with red bean paste that are steamed in hot spring steam. The sweets are sold all throughout the town, in little shops like the one shown below. They’re quite sweet so for those of you with a sweet-tooth, give them a go. 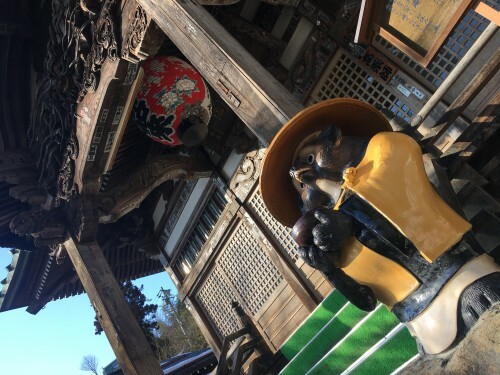 There are temples aplenty in the onsen village. 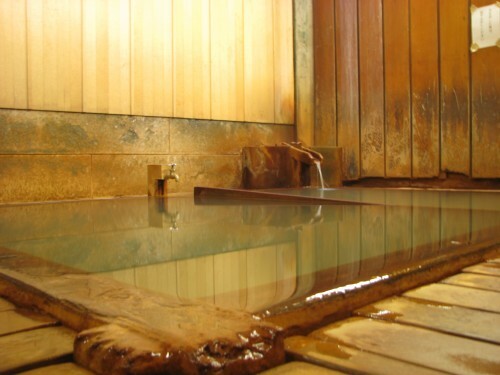 One of them is even dedicated to the healing powers of the onsen and is aptly named “Onsen Temple". 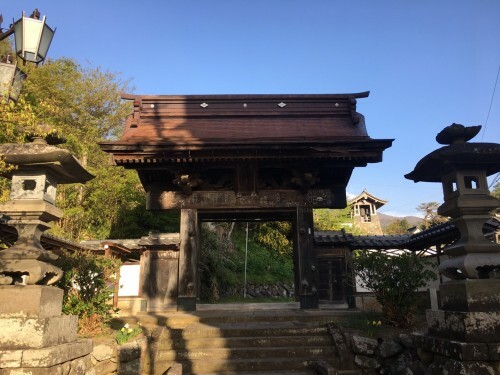 Another temple is located on higher ground of Shibu. 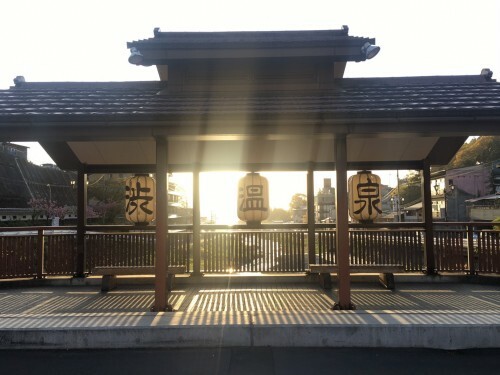 From here you can look out over the entire town, seeing hot spring smoke rising up to the sky. 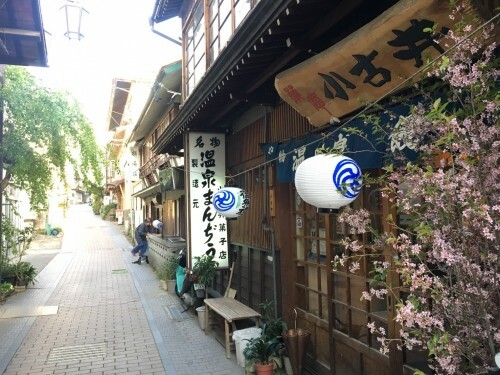 There are plenty of small streets, temples, shrines, and shops to be discovered in the town of Shibu Onsen so come pay a visit!